We are a small company located in Central Oregon. Founded by Dr. Angie Untisz. Glyco-Gen is the result of her journey with her Kelpie Dodge. In 2004 Dr. Untisz's Kelpie,Dodge, developed a potentially life threatening condition called Exertional Rhabdomyolysis. Commonly called "Tying Up". An alarming set of symptoms developed with his collapsing while training. His body was breaking down muscle tissue to try to generate the energy source it so desperately needed. Dr. Untisz knew she would have to find a solution before her talented partner literally worked himself to death. With nutrition research in hand she delved further into the world of canine athletics. Using Sled dogs as a model for her research she opened gateways to information resulting in Glyco-Gen the product that gave Dodge the energy he needed to continue his competitive career. Graduated Ohio State University of Veterinary Medicine in June 1987. 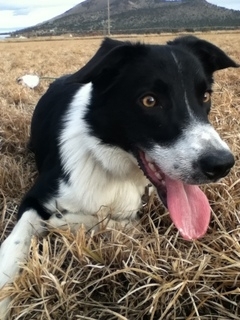 In 1996 she was introduced to herding with her Australian Cattle Dog. 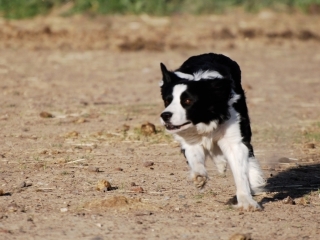 She started completing in USBCHA sheep and cattle trails in 2002 she is currently running her Border Collies, Butch and Luke, in Open and has competed @ the 2012 USBCHA National Sheep Dog Finals.